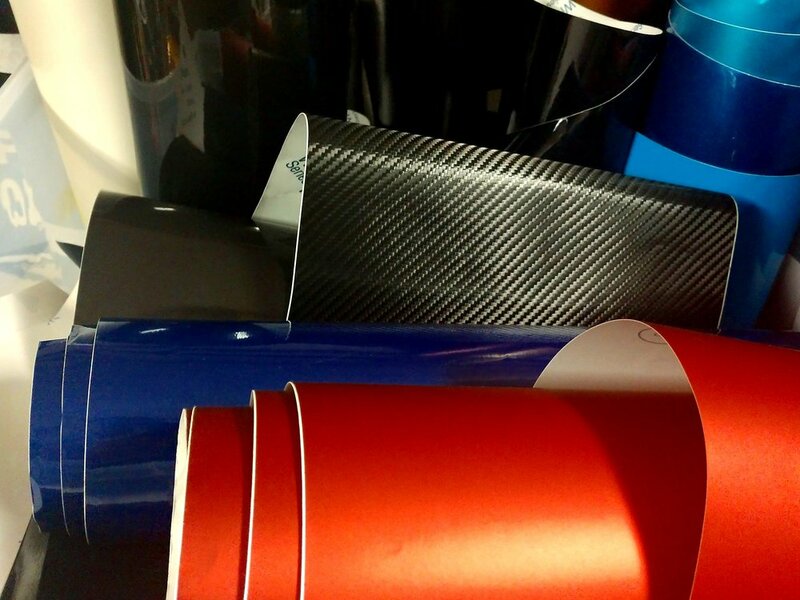 In a World filled with verbage like plasti-dip, hyrdo-dip, powder coating, cast vinyl, calandered vinyl, colorshift vinyl, chrome, satin, matte and gloss vinyl, overlaminate, and paint protection you have a variety of endless autostyling options and the possibility to be quite confused. I hope after reading this you have a better understanding of vinyl and the term “wrap”. Autostyling is a new term, a neologism like Yahoo or Google. Maybe you’ve heard it once or twice, if you’ve made it this far you’ve at least read it twice. Autostyling is simply just that, styling your automobile. Making it unique to you. For some it’s a canvas to express themselves artistically and for some it’s a place bear the all names of their sponsors, car clubs, instagram hashtags and brands they choose to support and represent. Nonetheless, today you have options to cover or wrap just about anything you can think of. The use of vinyl doesn’t stop at cars and if you pay a little more attention to your surroundings you will start to notice how prevalent vinyl is. Stuck on everything from walls, windows, floors and commercial vehicles to basketball courts and boats. So what exactly is wrap? Wrap is typically just a term associated with some type of vinyl that has been installed to cover a vehicle whether it’s a car, truck, motorcycle, 4 wheeler, jetski or boat. 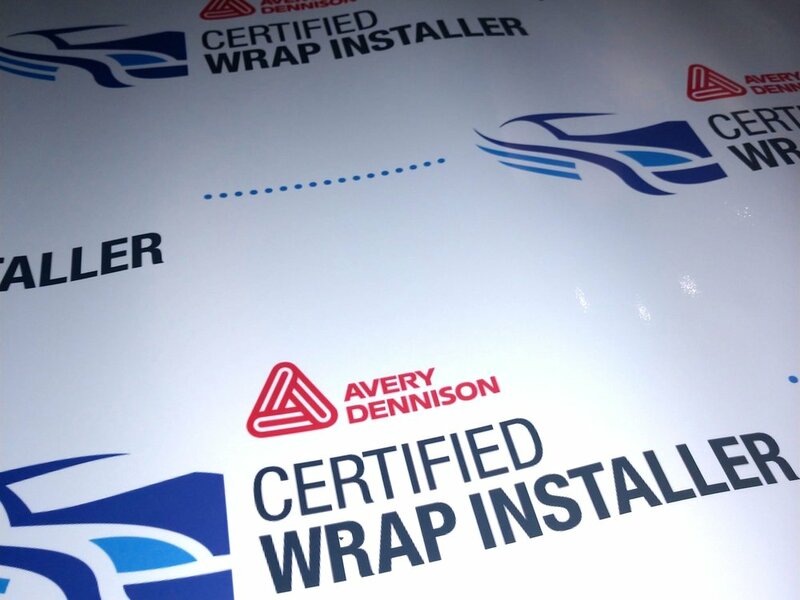 Wrappers, the guys and gals that install the vinyl on vehicles are sometimes referred to graphic installers but if you’re hip with the lingo, you’ll call them “wrappers”. Wrapping has been around longer than we think and we can thank 3M, Avery Dennison and another well known company for that. For years commercial vehicles have been getting spot, partial and full wraps to advertise their business and set a bold standard toward their brand. It’s in the last 5 years or so that Car and Vehicle Wraps have become popular among the custom car scene. In a cold February Winter back 1900, Milton Hershey made history by painting on his automobile to advertise his Lancaster, PA Hershey brand on a vehicle. Not long past several other companies began to paint more embellished designs on their vehicles. This trend lasted nearly 50 years; until the invention of vinyl chloride was stumbled on accidentally by a company most of us know as the Goodrich Corporation. Get this! The first vinyl was created using salt, limestone, water, coke and electricity. Costs were so high that at first only clients like the US Air Force could afford to use self adhesive vinyl graphics. 1980s - vinyl productions and die-cutting technology advancements had cut the costs enough for small businesses to make the switch from paint. Early 1990’s - colorful die cut vinyl become the prominent method of marking vehicles with logos and lettering. Paint still remained king for car enthusiasts and custom shops. Late 1990’s - electrostatic printers were developed and allowed for printing on vinyl however this new technology was not cheap. The capabilities were limited in design, color and quality images. Few companies experimented with wrapping vehicles and even fewer were successful. Fast forward to today and we have large format piezoeelctric inkjet printers, cpus capable of processing files in excess of 3 gigabytes plus powerful design software that all together allows for vivid eye popping designs. Among the printable vinyl we now have pressure sensitive film engineered to release air, handle complex curves and recessed areas as well as change color depending how the light glistens off the film. Hence the birth of colorchange wraps. Which is the art of taking a vinyl film, whether printed on or a manufactured shadeshift, gloss, matte or chrome film and installing onto a vehicles surface which can drastically change the look of a vehicle and also protect it from future scratches and harm UV rays. Most wrap vinyl is ordered from distributors like Fellers or Metrorestyling. You cannot directly purchase these wrap films from 3M or Avery. So there you have it. The quick history of vinyl and “wraps”. Whether you are a business owner, a car enthusiast or a human, you’ve come across vinyl at some point in your life. Today the options to customize and design are greater than every and it gets better every year. To find out more about creating something unique for your business or personal ride contact us for a free detailed quote or to brainstorm ideas, we like that sort of thing around here.